23 Best Video Editor Apps For Android To Edit Video Like A Pro! Now A Days Almost All People Use Smartphones Instead Of Computer. 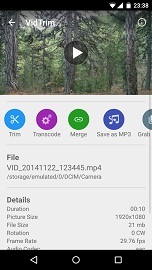 Editing Video In Computer Is Quite Easy As Comparison To Editing In Android. Video Editor Software For PC Has More Features As Comparison To Video Editor Apps For Android. But There Are Few Apps Available For Android In Google Play Store Which Has Professional Editing Tools Features With Simple Tools. 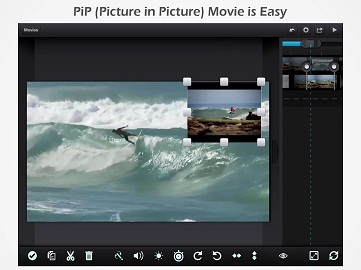 A Simple Video Editor App Provides Features Like – Cut, Trim, Merge, Add Photos, Add Video Effects And Some More. 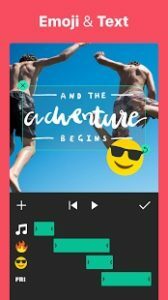 While A Professional Video Editor App Provides Features Like Themes, Animations, Layer By Layer Editing, Real Time Audio Recording, Blur On Video, Voice Changer, Add Photos, Text, Stickers Or Emojis, Speed Controls And More Awesome Features. After Checking Tons Of Video Editor Apps Available On Google Play Store, I Have Selected 23 Best Video Editing Apps For Your Android. Using These You Can Easily Edit Videos, In Simple Or In Professional Way Either You Want To Edit It For Instagram Post Or For YouTube Video. KineMaster Pro Is One Of The Best Video Editing App On Google Play Store And Literally Best Out Of All Video Editor Apps. This App Has A Lot Of Pro Tools To Edit Video Like A Pro. In Fact, This Is The Only App On Play Store Which Has All Tools That Should Be Available In A Pro Video Editor. From Simple Editing Tools To Pro Editing Tools, KineMaster Has All Features. 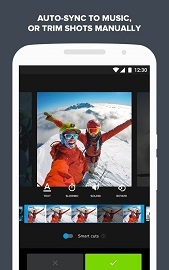 PowerDirector Featured In Google Play’s Editor Choice And Provides Editing Features Like A PC Video Editor Software. Almost All Professional Video Tools Or Features Available In This App. Tons Of Features From Simple Video Editing To Professional Video Editing Are Available In This Video Editing App. FilmoraGo Also Available As PC Video Editing Software And First Choice Of Users Who Wants To Edit Video Like A Pro!! However, Its Android App Has Not Some Of Its Pro Features Which Available In Desktop App. FilmoraGo Provides Simple Tools + Some Pro Features To Edit Video, That’s Why We Include This In Our Top Best Video Editor Apps List. However, Magisto’s Main Feature Is Only To Make Video More Beautiful. There Is No Such Editing Features Available In This App Which Is Available In KineMaster, PowerDirector, Videoshop Etc. You Can Try It For Better Video Effects. 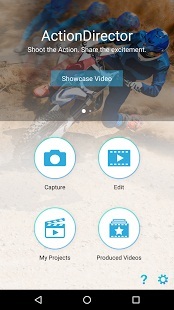 Quik Video Editor By GoPro Is Another Powerful Video Editing App For Android. In This, You Will Get All Simple Video Editing Features + Some Pro Features. 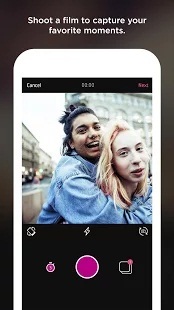 If You Love Creating Video From Photos Then This App Is Suitable For You. If You Need A Simple Designed Video Editor App Then VidTrim Is Perfect For You. It Has Almost All Simple Video Editing Tools + Some Converter Features Which Is Too Easy To Use For Editing A Video. This App Also Available As Desktop Version. You Can Download This App From Google Play Store. 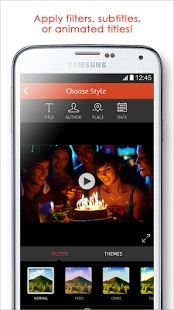 It Is A Very Handy Video Editor, Downloads It From Play Store. DU Screen Recorder Is One Of The Best App To Record Screen. 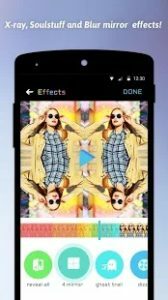 But This App Also Provides Built-In Powerful Video Editor With A Lots Of Feature Like Trim Video, Convert Video To GIFs, Add Music, Add Intro Or Outro To Video, Add Background Video Image, Remove Middle, Cut, Trim And More. It’s A Light Weight Video Editing App And Totally Free. DU Screen Recording App Always Listed Under Video Editor Apps List – No Watermark, No Ads, No In-App Purchase. Download It From Play Store. 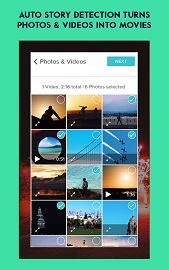 Triller Is Another Awesome Video App With Lots Of Video Tools. You Can Easily Edit Video Or Shoot Short Films. Triller Is A Handy App Which Helps You To Make Beautiful Video In An Easy Way. Create Picture In Picture Mode Movie Or Video – Means You Can Add One More Video Over Video And Both Of Them Will Play At Same Time. Video Show Has Over 100 Million Users Worldwide. Almost All Features Available In This App Like Photo To Video, Add Stickers Or GIFs To Video, Add Text, Voice Over Video, Speed Control, A Lot Of Themes To Enhance Video, Filters, Subtitles, Trim, Cut, Add Music, Remove Music, Save In HQ Or Full HD. Video To MP 3, Blurred Background And More. Because It Is Easy To Use, Comes With Simple Design, Many People Prefer It, And Ignore Other Video Editor Apps. You Can Download It From Play Store. You Can Say Viva Video Is The Perfect Alternative To Video Show. This Video Editor Also Has Over 100 Million Users Worldwide. Features Like Trim, Merge, Cut, Speed Control, Themes, Effects, Filters, Add Music, GIFs, Stickers, Video And Audio Adjustment, Fade In And Out Makes It Perfect Video Editor For A User. Like Video Show, Viva Video Is Also Easy To Use, Comes With imple Design, And Its Features Force Users To Ignore Other Video Editor Apps. You Can Download It From Google Play Store. This App By Adobe Has No Such Awesome Tools That Should Be Available. There Is No Comparison Of Its Desktop App With This App. You Will Get Only Simple Tools That Above Apps Provides You With Additional Features. If You Love Adobe Apps Then You Should Give It A Try. You Can Also Try Other Video Editor Apps Mentioned In This List. This Is The Last App On This List[Update-New Apps Added]. The Main Feature Of This App Is Animation Effects Which Makes It Popular Than Others. Features – Filters, Text, Add Music, Trim Or Cut, Animation Effects, Text Animation Effects, Set Video Ration i.e. 16:9 For YouTube, And Square For Instagram. You Can Download It From Here. 23.) Vizmato – Video Editor With FX! This Is App Is New On Google Play Store But Comes With Many Awesome Features Which Are Necessary For Video Editing. You Can Add Text, Themes, Visual Effects, Background Music To Your Videos. With Vizmato Video Editor, You Can Easily Make Slideshow With Photos And Videos. Vizmato Video Editor Comes With 40+ Visual Effects, 20 Filters And Themes, Video/GIF Recorder, GIF Editor/GIF Maker. 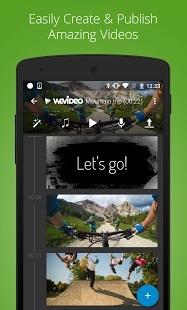 No Doubt Vizmato – Video Editor Is One Of The Best Video Editing App For Android. Size – 40 MB, Price – Free. Download: Here. You Can Use KineMaster, PowerDirector, ActionDirector For Pro Video Editing. For Medium Editing Try Filmora, Videoshop, We Video, Video Show, Viva Video, Cute Cut, InShot. Simple Editing, Try Video Editor By Fun Media Show. For Effects Try Movie Maker, FxGuru, And Triller.